If a Clarinet Teacher got a hold of Squidward Playing the Clarinet, what would the teacher say? Alright Squidward Quincy Tentacles, you have quite a reputation in the clarinet world. Squidward playing the clarinet is almost an insult. But, one thing is for sure, you love playing clarinet, that is almost all that counts. If you wish to gain and have a happy audience, you have some work ahead of you. By the way, what do you have to say about Squidward's clarinet playing? Scroll to bottom of page to tell us. 1. Practice consistently over a long period of time. Many say you are a bad clarinetist because you miss notes and have poor intonation. If you want to stop missing notes, practice your scales. If you want to improve your intonation, print out a Tuning Chart and follow these instructions. 2. Make sure you are practicing the right stuff, consider taking clarinet lessons with a private clarinet teacher. 3. 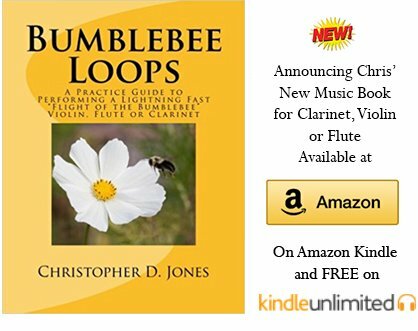 You could use some tips on clarinet embouchure. Occasionally, I see your technique is limited with the wrong tentacles on the upper and lower joints of the clarinet (see correct left and right tentacle position here). Most the time it is right, but also your tentacle fingers end up going too high. How do you expect to play fast and well on clarinet if your tentacle fingers are too high? Humans have to put the pad of their fingers on the tone holes, do you put your suction cups on the tone holes to cover them? 4. When you start showing some improvement, play for those who like to hear you. As irritating as your buddy Spongebob make be, he is the number one fan of Squidward playing the clarinet. 5. If you want to beat Squilliam on the clarinet, pick some clarinet duets, practice them really hard and know them well. Then, invite him over to sight-read duets and prepare to blow him away. This is an easy way for sweet revenge. 6. Do not let anyone tell you that you are average and untalented. I’ve seen many who have a seemingly ‘natural talent’ rest on that talent, not work, and finally get beaten by those who practice. Ever heard of the story of the tortoise and the hare? If you really think you are a musical prodigy, watch the first few weeks of the auditions of American Idol. Lots of people think they are great musicians, yet the most of the world knows differently. 7. In Spongebob’s Best Day Ever, you blame your reed as ‘shot.’ This is because you are not rotating your reeds correctly. You can check it out here with proper clarinet reed adjustment. You used Spongebob’s tooth instead and that played better than a normal clarinet reed. If you play better with a sponges tooth, sounds like you need a lighter reed. I’m surprised it wasn’t too soggy for you. Reviews say, "Squidward playing the clarinet is best in these episodes"
Squidward plays the clarinet like I sing - Horribly. But he still plays, and I still sing. People still don't like it. - I still don't care. I can't understand why people get annoyed by Squidward'sclarinet, he plays it rather well. @Squidward I'm WAY better than you at the clarinet..I think everyone is. But you're still my favorite spongebob character! Squidward Tentacles: Making life even tougher for dudes who play the clarinet for over a decade. By the way, Squidward playing the clarinet is really not a Famous Clarinet Player, click here to visit the real players. What do you have to say about Squidward playing the clarinet? Many insult his playing. Some like his playing. What do you think? Also, did Squidward have any influence on you picking clarinet?